Experts estimate that as many as 15 percent of adults in the United States postpone going to the dentist or stop getting the oral care they need. What’s the problem? It’s dental anxiety, a fear so intense that people suffer panic attacks, insomnia and more. What’s the solution? It’s gentle care from Collierville sedation dentist, Joshua Holcomb DDS. 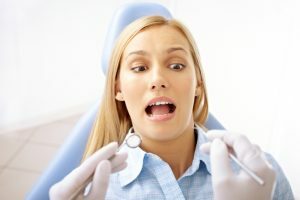 Why sedation dentistry in Collierville? A good dentist is patient-centered, compassionately listening to concerns and explaining dental treatments in a friendly, relaxed atmosphere. Unfortunately, kind, individualized care does not always go far enough to put every patient at ease. That’s where Collierville sedation dentistry from Dr. Joshua Holcomb and his team come in. Dr. Holcomb and his compassionate staff understand. That’s why they have the advanced training to help patients feel relaxed so they can get the treatments they need–everything from simple cleanings and fillings all the way to full mouth reconstructions. Nitrous oxide. This tried and true sedation option is also called “laughing gas” because it makes patients feel somewhat giddy and totally at ease. The doctor gives the medication through a comfortable nasal mask, and when treatments are over, the gas quickly wears off. Patients feel no after effects and can drive themselves home from Dr. Holcomb’s office. Oral conscious sedation. Taken as pills right before a procedure starts, these tranquilizers confer substantial relaxation and may even make a person drop off to sleep in the dental chair. These familiar drugs include Valium, Ativan and Versed. Patients awake with a shake on the shoulder and usually remember very little of their treatments. A friend or relative drives the individual home from his appointment. IV sedation. These medications are delivered intravenously through a needle in the arm. The team fully monitors vital signs and level of consciousness, and the doctor can increase or decrease the dosage as necessary throughout the procedures. Patients are driven home afterwards, and usually, they experience some amnesia about their treatments. Dr. Holcomb and his caring team will help you through your dental work with careful sedation dentistry. Contact the office today for a sedation dentistry consultation. Dr. Holcomb will review your medical history and explain your options for a painless and fear-free dental experience.